90kvdc high voltage cable 2m can be used for 150KV spherical tube high voltage cable, usually used for fixed X-ray machine, 75KV high voltage cable for portable X-ray machine or mobile X-ray machine, through data calculation, 90kvdc high voltage cable 2m can also be used for 125KV spherical tube, portable X-ray machine and mobile X-ray machine. 90KV2 meters of high-voltage cable is a short line in high-voltage cable, you can also choose 3 meters, 4 meters, 5 meters and so on, the length of the line is not limited. Therefore,90kvdc high voltage cable 2m can be used for various types of X-ray machine, the same 75KV high-voltage cable can also be used for various types of X-ray machine. 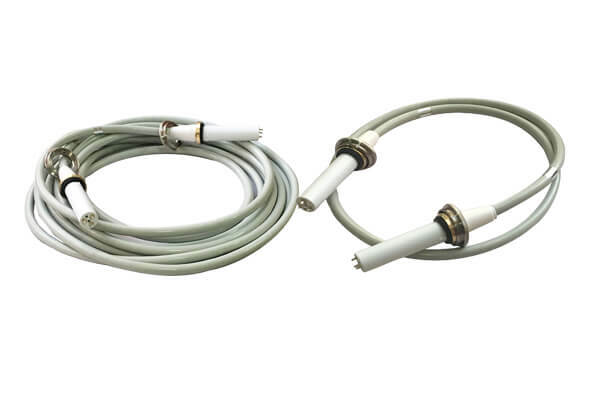 However, a suitable match is 90kvdc high voltage cable 2m for fixed X-ray machine, and 75KV high-voltage cable for mobile or portable X-ray machine.